Rotork’s IQ3 electric multi-turn actuators are being used in a Navigator Terminals wireless network at its North Tees site. 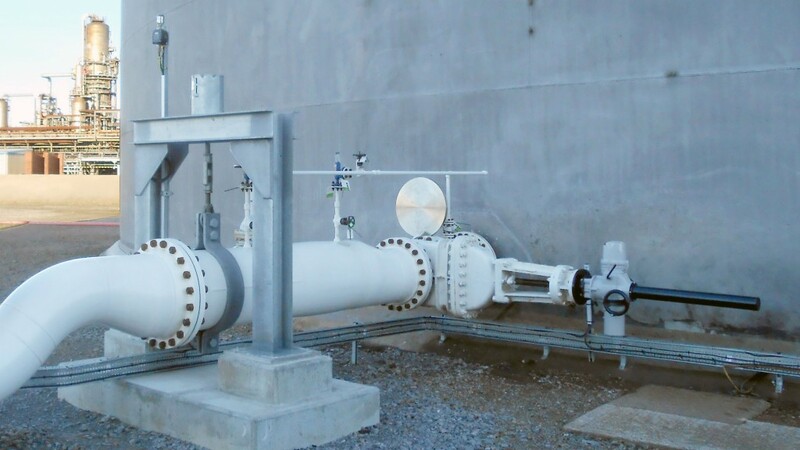 The IQ3 actuators have been fitted to 24-inch gate valves which control the flow of crude oil in and out of one of the storage tanks at the company's Marine Terminal. The actuators communicate using HART protocol via a Pepperl+Fuchs Bullet WirelessHART Adapter, which has enabled seamless integration with the site's existing Rosemount wireless network. It will also allow the operator to add more wireless compatible actuators and control instruments to the site in future. All IQ3 commissioning, configuration and control can also be carried out remotely using an intrinsically-safe Rotork Bluetooth Setting Tool. Torque levels, position limits and indication functions can be adjusted while two-way data communication allows for multiple actuator configurations. The setting tool can also be used to extract information including operational starts profiles, starts per hour and temperature or vibration logs from an advanced datalogger. This data can be securely transferred via the cloud to a PC running Rotork Insight 2 software for diagnostics and asset management. IQ3 actuators are ATEX certified as explosionproof, suitable for use in Safety Integrity Level 2 / 3 applications and watertight to IP66/68 standard - submersible at 20 metres for 10 days.